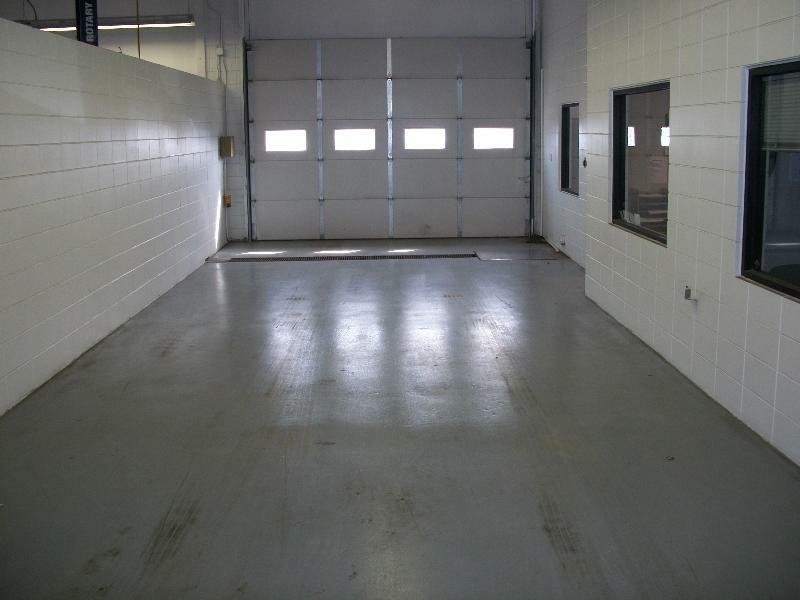 Why choose Pierre's Body Shop, Inc? 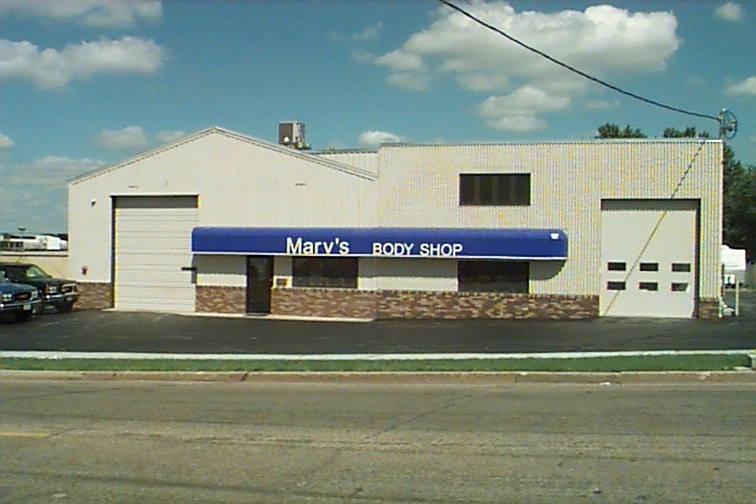 At Pierre's Body Shop, Inc. we specialize in helping the customer from start to finish. 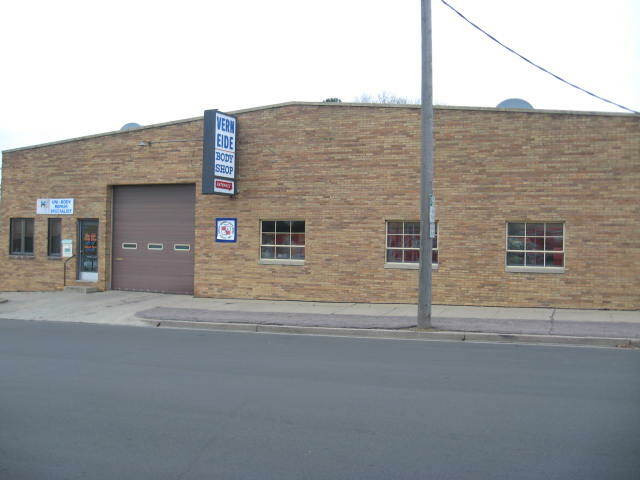 We repair all makes or models, foreign and domestic, cars and pickups. At Pierre's we do more than provide a good product, we also educate the customer about the auto body repair process. "It's what you expect from Pierre's!" Good relationships with insurance companies makes for hassle free repairs. Written Lifetime warranty Pierre's Body Shop, Inc. takes great care to insure that every repair meets our standards for quality. 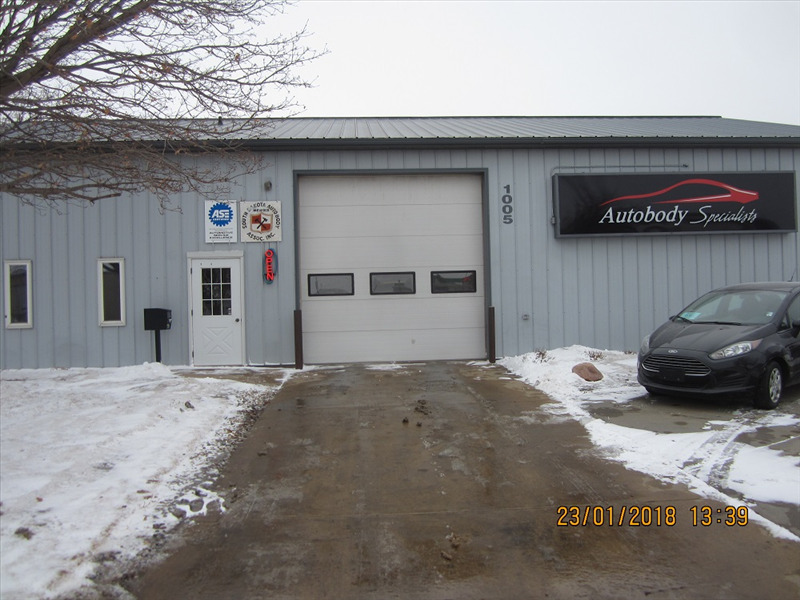 The labor performed by Pierre's Body Shop, Inc. is warranted against any defect in workmanship as determined by Pierre's even if ownership changes. State of the Art Equipment, Trained Technicians and a passion for what we do is what sets us apart from the rest! The staff at Pierre's are continually trained and certified in all aspects of repair and refinish. Our Motto: Honesty, Quality, Courtesy and Care. It's what you expect from Pierre's We give our customers confidence in our ability to restore their vehicle back to pre-accident condition. Over 50 years doing buisness at the same location, with the same high standard of quality in every repair. 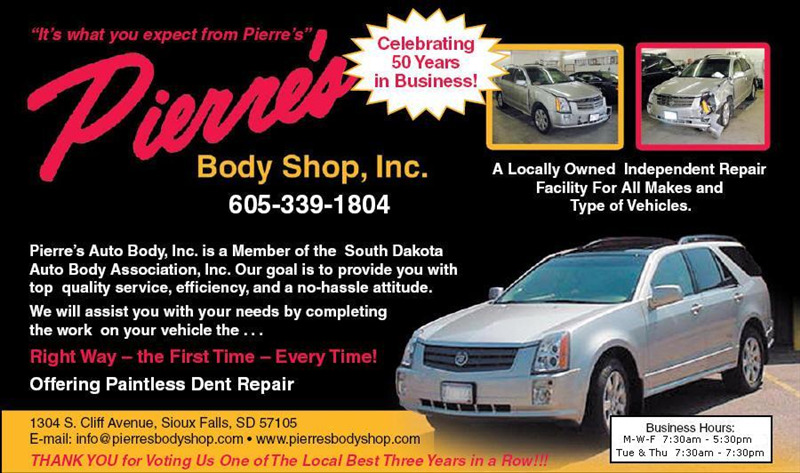 Visit our website at www.pierresbodyshop.com call us at 605- 339-1804 or visit us at 1304 South Cliff Ave Pierre's body shop would apprecate the opportunity to serve you. We can help make the inconvieninace of a car accident go away and take the hassle out of it for you. "It's what you expect from Pierre's!" Billions is a full service body shop. We also offer glass repair and replacement, paintless dent removal,vinyl repair, window tint and clear protective film,and detailing. Free loaner vehicles while your vehicle is being repaired. We will take care of the paper work with your insurance company.